Shucking bark like dead skin, the Tree took wavering flight; and now any hidden watchers (Will-o’-the-Wisp? Sea Witch?) might observe in the plain moonlight that it was no longer arboreal at all. 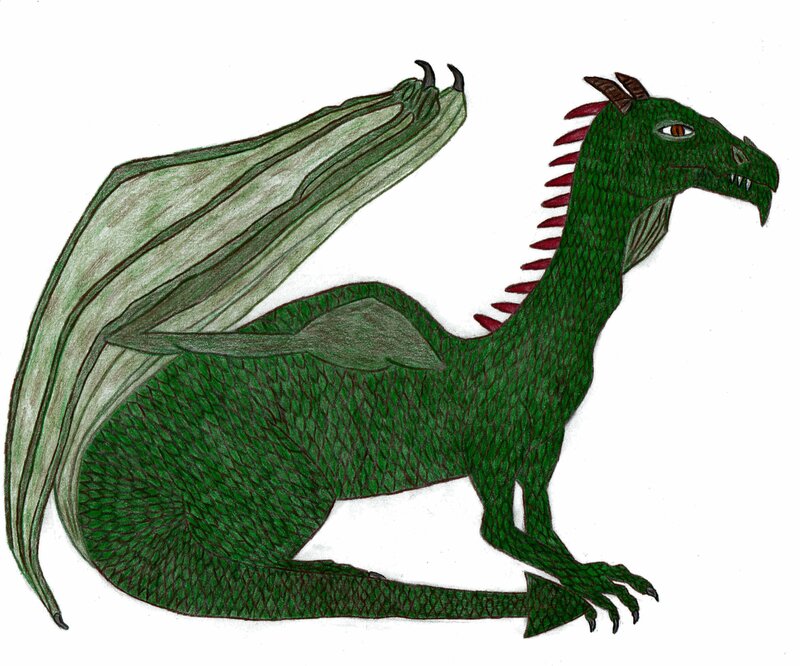 Green scales all a-glitter, claws flexing and yearning for something to grapple, wings beating frantically, it was clearly a Drak of the Draci. A repaired and returning aristocrat.